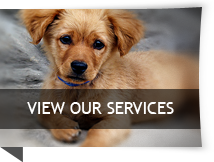 Want to learn more about your pet’s boarding stay? Watch our video Retreat tour below! Seaside Cottages on the Boardwalk: Guests will love the scenic view of the Boardwalk Play Yard in their very own all-inclusive Seaside Cottage. All Boardwalk guests will have a fun-filled day including daily PlayCare sessions with relief outings, doggie cot, & a relaxing massage during their stay. Cat Boarding: Your cat will love his/her kitty condo with a view of the FW cultural district & kitty romper room playtime included!